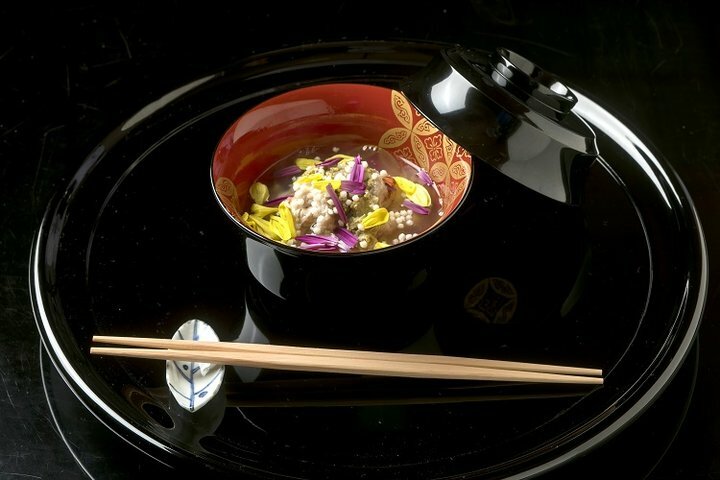 The highest peak of tea kaiseki which continues to pursue the best hospitality. Japanese cuisine restaurant Mizai is located in a quiet corner of Kyoto’s famous Maruyama Park. With three stars from the Michelin guide, Mizai is well-known to be a place where gourmands from all over the country dream to visit at least once. Owner Hitoshi Ishihara began to journey on the road to cooking at age the age of 15. He entered Osaka Koraibashi Kitcho Honten and studied under Kitcho founder Teiichi Yuki. Ishihara has climbed the ornate staircase to the top, being appointed as Head Chef at Kyoto Kitcho Honten at the young age of 24 and rising to the position of General Head Chef at age 38. After he upholded the taste of the famous restaurant for 31 years, he became independent in June 2003. Having inherited the spirit of his prominent tea ceremony master, Ishihara aims to have the heart of “Ichiza Konryu”, which has been treasured in the world of tea ceremony. It is a word that expresses the preparation and hospitality that is put into a single tea ceremony in order to create a sense of unity with guests. At Mizai, the five senses are stimulated not only by the food, but by everything from the wares, the decorated food, flowers and decor of the restaurant, and the scenery of the park towards the restaurant. The four seasons are being expressed in everything. 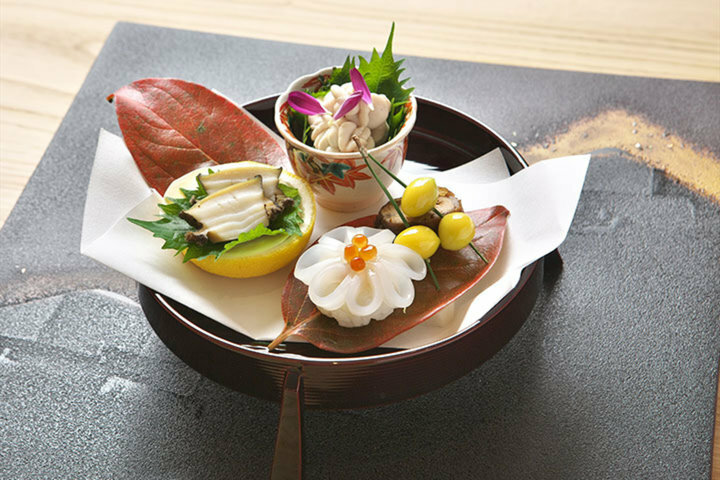 Following the manners of tea kaiseki, a wooden tray with rice, soup, and a side dish is first served, and it is said that over 300 types of carefully selected seasonal ingredients are used daily. The interior of the restaurant has a modern finish of a tea ceremony arbor design, with 14 counter seats and private rooms that can take up to 6 guests. In order to provide the best hospitality, guests are received once a day, all together at 18:00. The restaurant name Mizai means “no limits” in the Zen language, and is a word that Ishihara has carved into his heart as his maxim. 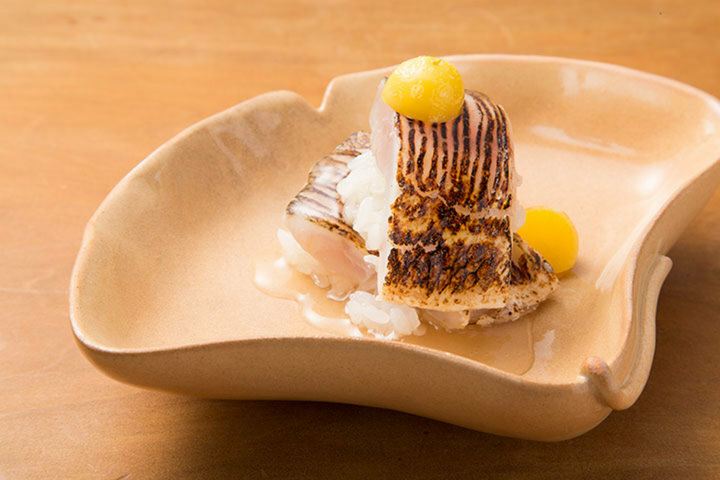 Guests are sure to be impressed and touched by Ishihara’s continual desire to aim higher, even as reservations from all over the country flood the restaurant.